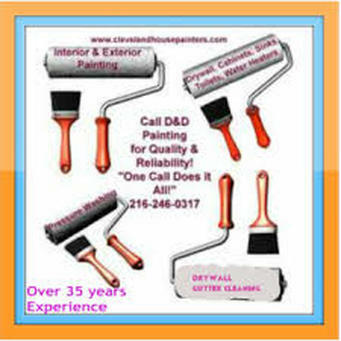 D&D Painting is Berea Ohio #1 Top Quality and Professional Residential Housepainting Contractor 216-246-0317, offering Interior Painting and Exterior Painting Services, Drywall, Power Washing, and more! We can work around any kind of budget and take pride in our work. We use only quality paints. We don't cheat on quality. View more About us and our Family of Painters.